Hi everyone! Anybody is up for a girly project? 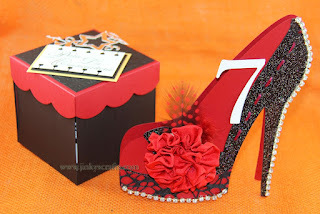 What's more "girly" than high heels? 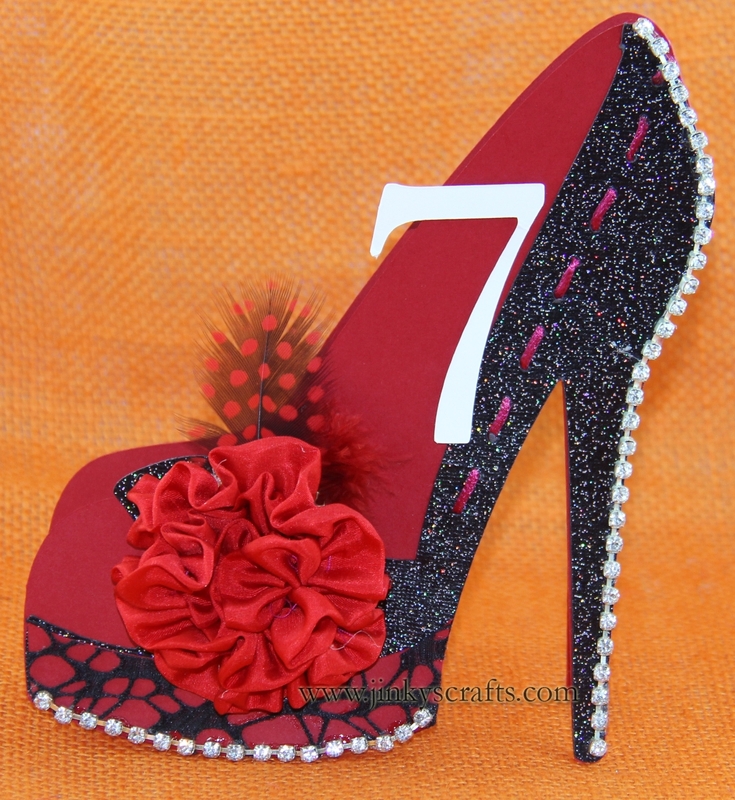 These High Heel Shoe 3D Cards is a perfect project for daughters, Moms and girlfriends! I really love everything about these cards. I hope you do the same too. I created these High Heel Shoe 3D Cards using a cutfile from SVG Cuts. When I got my Core Couture Cardstock from Core'dinations, I knew exactly what I was going to make. I thought of a project where I could showcase the cardstock which has exquisite colors and is full of shimmer and glimmer. 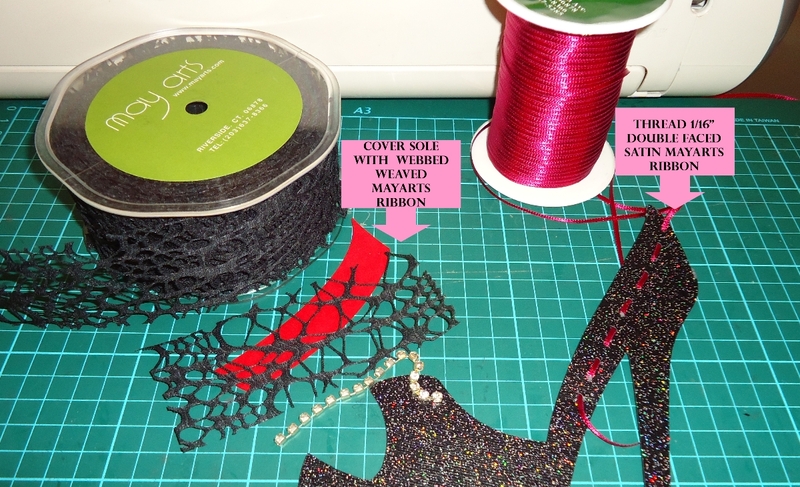 I was inspired by the cover of the Core Couture collection which happens to be a High Heel Shoe! 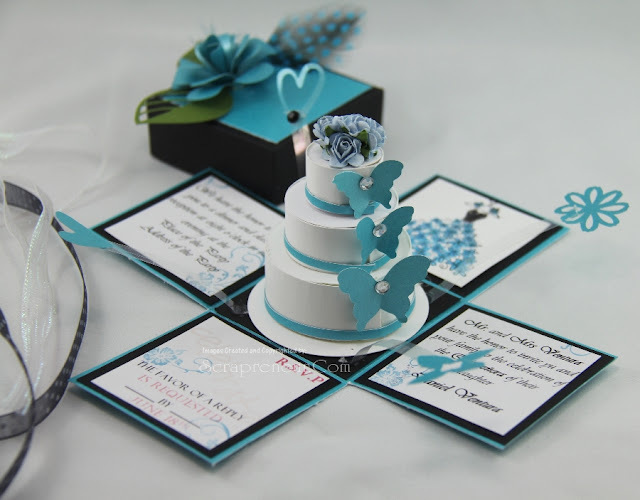 Here is another variation you can do, using the same cutfile to make a modern and unique Table Card. 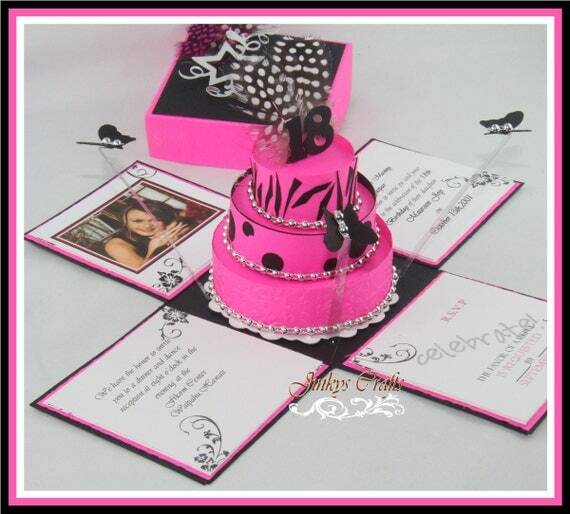 This Hot Pink High Heel Shoe Table Card is a great way to complement a Hot Pink Exploding Box Invitation. 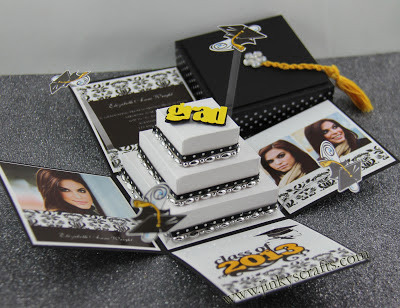 For those Crafter's that follow my blog, you know that I love to design Exploding Box Invitations. 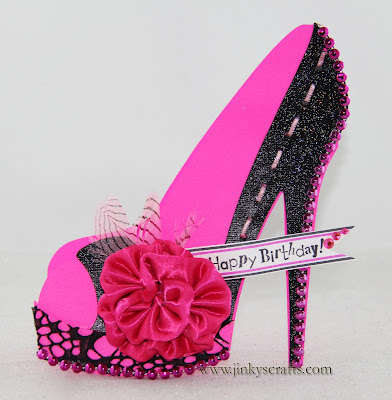 I thought this High Heel Shoe with a Handmade Ribbon Flower will inspire others who will be looking to have a Fucshia/ Hot Pink & Black color theme. 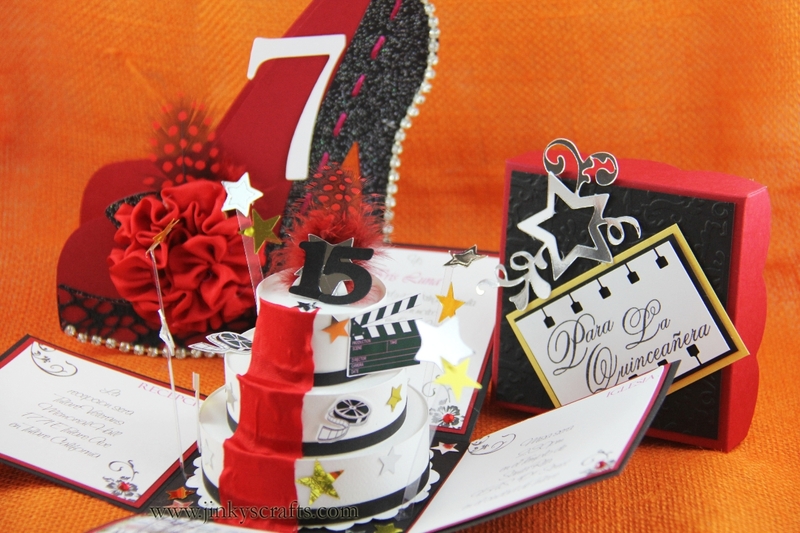 This Red & Black High Heel Shoe Table Card is a great way to complement a Hollywood Theme Exploding Box Invitation as seen on these photos. That's it my friends. 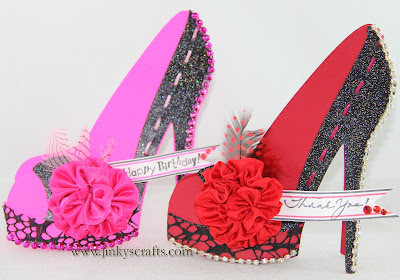 I hope you are inspired with my girly project today. Hi Jinky, This is awesome girl!!! Love the laces over the shoe, will have to pop over to May Arts and get some of that. Great job! !